Did you know the waste oil your company is creating could prove to be advantageous to you? Waste oil isn’t actually waste at all. It can be recycled repeatedly and reused for a variety of purposes. As long as you have a reliable waste oil cleaning system, you can remove solids from waste oil, add a small percentage of new oil and get a lot more life out of it. Here are some of the ways it’ll benefit you. Recycled waste oil can serve many purposes. After waste oil is cleaned, it has the potential to be used for a variety of purposes. It can be placed into motorized equipment to keep parts lubricated. One of the best uses is as heating oil. Clean it and it can go through your waste oil heater with no problem. 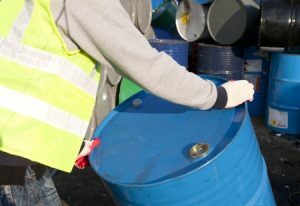 When you think about all waste oil can do once it’s been cleaned, it seems silly to simply throw it away or be stuck with drums you cannot get rid of. Using it will save you money. Many facilities will take waste oil off your hands and recycle it for you. However, more often than not, those facilities will charge you to do it. Therefore, recycling waste oil will actually cost you more money in that case. With a waste oil cleaning system, you can recycle your waste oil on your own and find the best way to reuse it. It’ll save you money on both the front and back end and cut your operating costs down. It’ll also prevent you from creating waste that could harm the environment. Waste oil can do a lot of damage to the environment when it’s not disposed of properly. It can contaminate water and soil. When your throw waste oil out, it also increases the need for new oil to be produced. By recycling waste oil with a cleaning system rather than tossing it, you will do the environment a favor. Dieselcraft Fluid Engineering can provide you with waste oil cleaning systems that will allow you to bring your waste oil back to life. You’ll enjoy all the benefits listed here and more when you make it your mission to recycle and re-use waste oil more often. Call us at 530-613-2150 on the West Coast or 772-215-8087 on the East Coast to order a cleaning system.